We are the largest and longest serving KZN dealer of caravans, trailers and Campworld items. A full range of new Jurgens, Sprite, Gypsey and Jurgens Safari Caravans is in stock. Our range of carefully selected and fully prepared pre owned caravans is constantly changing. Buy with confidence. . Trade-ins welcome. Trailers, whether offroad or onroad are available. Our workshop is able to service your caravan or repair any damage whether from accident or wear and tear. The full range of Campworld products is kept in stock in our store at competitive prices. Our experienced staff are waiting to assist you with all your queries, whether on a caravan, trailer, camping gear, servicing of your caravan or trailer or simply to advise which caravan park would suit you. Contact us today for superb product, great advice and exciting prices. Our five point pledge to you. To give value for money, whether it be a caravan, boat, parts and accessories, or after sales service. To give expert advice and assistance so that whatever we sell, the maximum benefits will be enjoyed at all times. To offer only quality merchandise in which we have full confidence. To keep the widest possible range of all that is latest and best in caravan, boating and outdoor equipment. To give personal service and satisfaction in the knowledge that without the customer, we would not be in business at all. 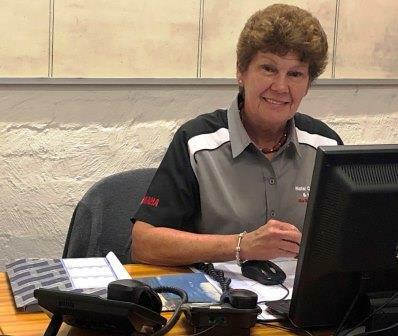 Founded by Mr Allan Trevor Montague McKee who started the business at the present premises, 6 Kirk Road, Pinetown, as a hire operator, hiring out caravans purchased directly from the manufacturer. Joined by Mr Eric Sydney Courtis who purchased 50% of the share holding from Allan Eric immediately became active in the sales side of the business selling new caravans as a sub dealer to the main distributor at the time, Forsdick Motors. Also in this year the decision was taken to purchase the property which had been rented until this time. By this time sales of caravans by the Company had grown to the extent that Natal Caravans were awarded full Distributor status by the manufacturer and Forsdicks relinquished the franchise. Because of the growth in sales and the potential for further growth, it was decided to appoint Mr Brian Eric Courtis to the position of Sales Manager. In a short time additional sales staff were appointed and a parts & accessories manager was also employed. The workshop side of the business was also strengthened. In this year Eric passed away after a long illness and by this time Allan had gone into retirement from the day to day activities of the business. Brian purchased a portion of his late father’s shares leaving the shareholding split at 58% Allan and 42% Brian who took over the reins as Managing Director. This left Natal Caravans (Pty) Ltd as a property owning company only, with Allan McKee and Brian Courtis the only shareholders. 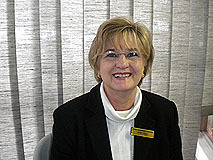 Caravan and Plettenberg sales were flourishing and additional sales people were employed. Dave Flack had by this time established a field team to site the Plettenbergs and connect them up to mains services in the caravan parks. By now the Company’s small workshop facilities had become outgrown by the sales activities in the various departments and it was decided to build a new caravan workshop providing an additional 5 work bays. Added a mezzanine floor to the Camp shop to cater for new Howling Moon ranges of tents now being produced by the canvas division of the caravan manufacturer. Business in all divisions of the Company continued to boom until the early 1990s when political events and a declining economy started taking their toll. Also at about this time, sites available for Plettenbergs in the caravan parks had started to dry up in terms of the maximum allowed. Some sales staff working on commission chose to leave the Company and were not replaced. Certain others were encouraged to leave and a number of weekly paid workers were retrenched. 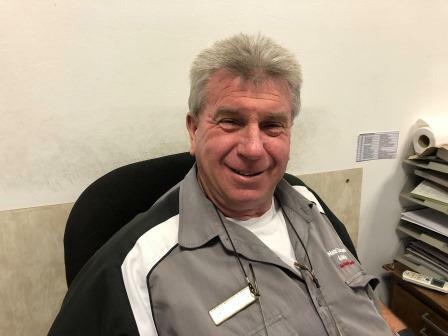 With the demise of the Plettenberg business Dave Flack elected to retain his seat on the board of the Company and to move over to caravan sales. The caravan manufacturer. 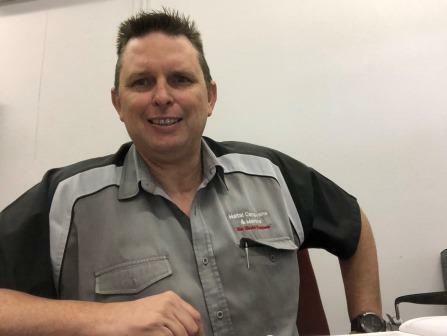 CI Caravans owned by Murray & Roberts, was bought out by a private entrepreneur, Mr Michael Delport, who had also recently purchased the competitor, Jurgens Caravans plus a number of smaller manufacturers. Not much changed on the manufacturing side until 1997 when the Pinetown factory was closed and moved to the Jurgens factory in Garankua. Brian Courtis’ son Geoff, now 28 returned from working overseas and joined the family business. 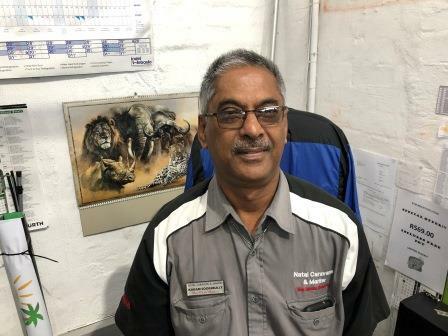 Prior to going overseas he had worked for three years in the marketing department of the Pinetown caravan manufacturer. Geoff teamed up with Dave Flack on caravan sales and has also understudied his father in all aspects of the business ensuring a seamless transition upon the eventual retirement of Courtis snr. After the relocation of the Pinetown caravan factory to Garankua the new owner of the industry made the decision to allow the caravan dealers, who had in the past, been allowed to sell only one brand of caravan to now sell all brands manufactured by them. This meant that instead of only selling Sprite caravans Natal Sprite (Pty) Ltd could now sell Gypsey, Jurgens and Jurgens Safari as well. Also in this year the decision was made by Natal Sprite to enter the boating business in order for the Company to gain another string to the bow. As part of this decision the following events took place. The franchise for the sale of Yamaha marine products was successfully applied for. The assets of Power & Marine Services cc of Durban, an existing Yamaha marine dealer were purchased by the Company from the owners who were planning retirement. As part of the transaction, the owners, a husband and wife team, agreed to continue working for two years and their small staff of technical people also moved across. The Company built a 4 bay marine workshop adjoining the existing caravan workshop. Bill Harrison, previously of Outdoor Marine, was invited to join the Company to head up the new Marine Division with a specific focus on sales. The Company changed it’s trading name to Natal Caravans & Marine in order to embrace the additional caravan brands as well as the new marine aspect of the business. The registered name of Natal Sprite (Pty) Ltd remained unchanged. Financially, 1998 turned out to be a challenging year. Funding the additional caravan stocks and marine stock necessitated an increase in bank facilities at a time when interest rates soared. 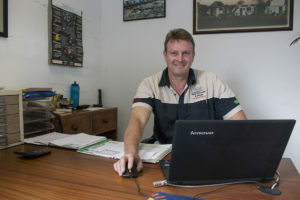 In order for Geoff to become more integrated with the overall management of Natal Caravans & Marine in anticipation of his father’s retirement sometime, the decision was taken for him to take over the management of the Campworld division, the parts and accessories side of the business, from July 2010. In this position Geoff would have more of an involvement with the interface between this important part of the operation and Natal Caravans & Marine’s two workshops, with emphasis on the systems that are used. 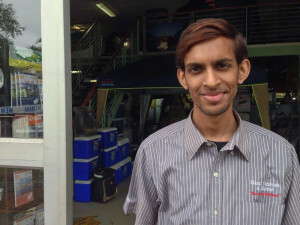 At the same time he would still be in a position to continue to interact with the customers and maintain his role as “the face” of Natal Caravans & Marine. This move necessitated a move for Don Mackay from the Campworld store to Caravan Sales. Unfortunately Don’s health problems over the past 10 years or so started to catch up with him and he decided to take early retirement from Natal Caravans & Marine at end June 2011. This year has been a challenging year for Natal Caravans & Marine not only on the economic front but also adapting to the changes within their own organization. Going forward into 2012 Natal Caravans & Marine are ready for new challenges and with Geoff at the helm of a strong team they are looking forward to building on the strengths of the past.